If you plan on traveling to Ireland, kissing the Blarney stone is probably been something you have considered adding to your bucket list. Leading up to that, allow me to take you on a journey around Cork, Ireland that will leave you in awe of the beautiful county of Cork and the character that fills it. To get to Cork from Dublin, the quickest mode of transportation is the train. It is roughly a three-hour train ride but my experience was even a bit quicker than that. Upon arrival after dropping your bags, I highly recommend taking a stroll through the English Market. It is consumed with a delicious aroma immediately. The market is filled with small vendors selling everything such fresh fish, chicken, steaks, vegetables, teas, etc. Located upstairs there is a café that sells the fresh foods from downstairs. While you munch, you can people watch from your seat of all of the locals below buying their weekly groceries. Just outside of the market is a hidden pub called Mutton Lane. 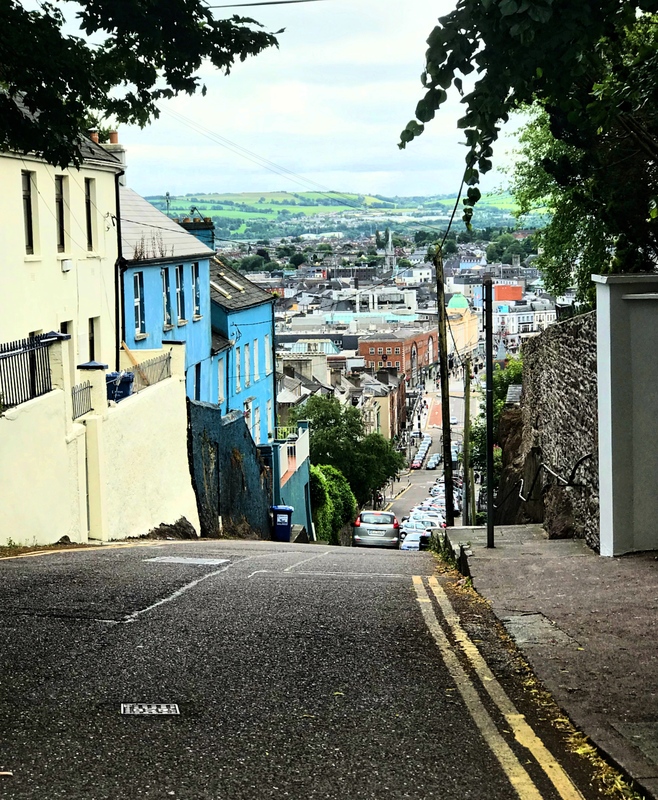 If you are attempting to walk off that lunch, climb the steep street of St. Patrick’s Hill. At the top, you can look down on the entire city of Cork and see the green meadows and hilltops in the background. If you aren’t tired yet from this agenda, walk over to Sin E pub for casual live music. In the back corner of the pub you will find musicians playing that can be heard throughout the entire pub as well as upstairs. 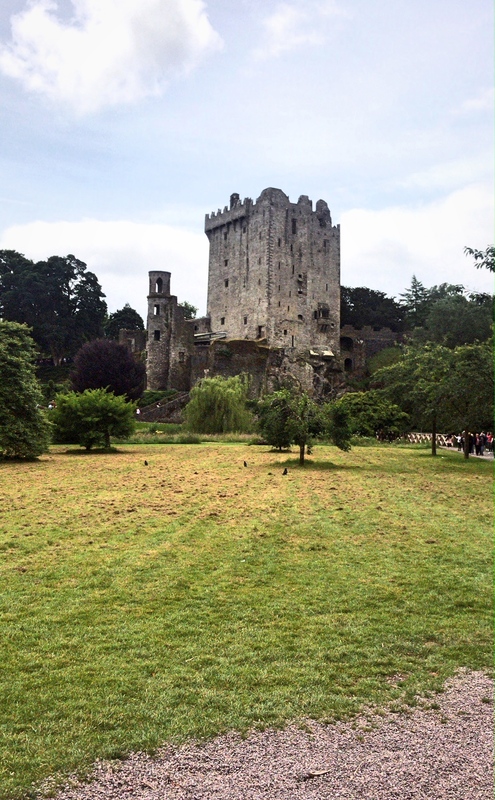 Day two of this adventure in Cork was to Blarney Castle. A bus runs from City Centre to Blarney for 3 euros. There is an entrance fee of 20 euros to have full access of the grounds. Hop in line earlier in the morning and while you wait, you can see tourists popping their heads upside down and kissing the Blarney Stone. 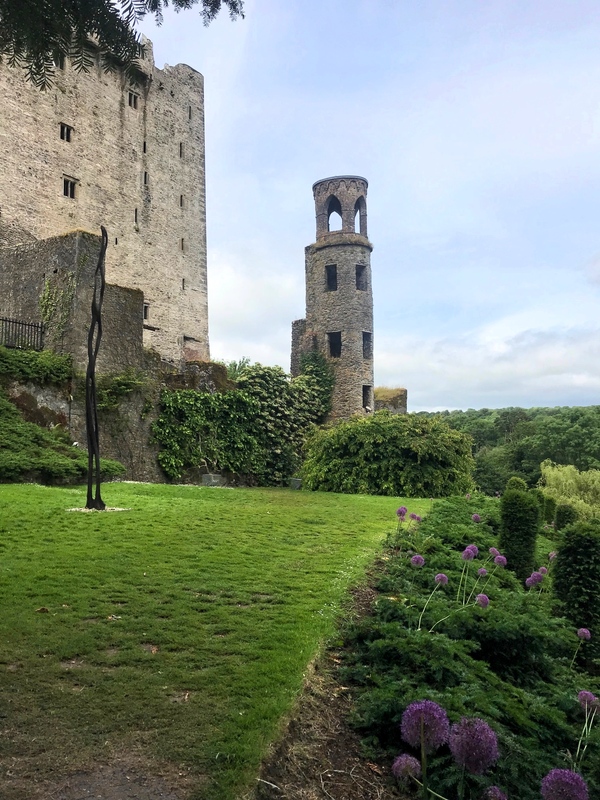 Approaching the castle, there is a live violinist playing old Irish tunes for a serene experience surrounded by running water creeks, flowers, and of course lots of green. Climbing the stairs to the top of the castle can get narrow, but at the top it is green as far as you can see. A weekend trip to Cork will have your agenda filled with plenty to do, incorporating both the touristy and not-so-touristy activities. Make sure to write down all of the places, food, pubs, and people you meet, to be able to look back on this Irish experience.